(ARA) – Health care expenditures totaled roughly 2.6 trillion dollars in 2010, more than 10 times what they were in 1980. Average families are feeling the increases – health insurance premiums for a typical family of four have increased by 114 percent since 2000, according to the Centers for Disease Control. And health care costs now make up approximately 6.6 percent of the average family’s budget. The more prepared and informed you are about your options, the more likely you are to receive better care and ultimately, you may save yourself money. Specifically, this means you should do research prior to getting additional medical services. Many exams and tests are very expensive and may not be considered medically necessary. Remember that you know your body better than anyone. Deborah Jones, medical assisting program chair at Everest Institute in Tigard, reminds us that your medical provider depends on your knowledge to diagnose and treat any conditions. 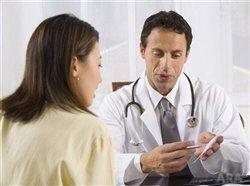 “When visiting a provider, you should always go prepared with a list of questions and concerns. If you take the time to get answers on your first visit, you will save time and money in the long run, as you will have fewer follow-up visits and reduce the potential for misdiagnosis,” she says. If you have health insurance, make sure you review your explanation of benefits (EOB) when you receive them. Insurance companies make mistakes, so make sure you are reviewing your EOBs for correct information on payments made, deductibles, or denied claims. If you have any questions, call your insurance company. If you wait, then denied claims could cost you hundreds of dollars. If your employer offers a flexible spending account (FSA) as a benefit, take advantage. An FSA is a benefit that employers can offer their employees to help them save money on medical expenses – FSAs allow you to deduct a certain amount of pre-tax income each pay period for medical payments, and thereby reduce what you pay in federal income taxes. However, it is important to estimate your anticipated medical expenses carefully because deductions placed in an FSA must be used within the calendar year, or you forfeit your right to those dollars. Do you have trouble covering the cost of your prescription drugs? Lori Snyder, pharmacy technology program chair at Everest College in Reseda, Calif., suggests that you write to the pharmaceutical company that manufactures your medications. They all have programs which offer prescription drugs at no cost, and you may qualify. Take caution when looking at “Medical Discount Plans.” Many discount plans state that they can save you up to 60 percent on medical expenses, if you go to their providers. But some of these plans are simply out for your money. Before signing up for a plan, be sure to do your research by calling the plan’s providers, and getting price quotes for their services. You wouldn’t buy the first shirt you see in a store without trying it on and comparing prices – so why would you commit to the first medical provider you call? In seeking out medical services, call around and ask for the fee schedules of the providers you need to see. They should be able to give you a list of procedures and their costs. Then you can compare prices of different providers prior to choosing. Remember, not all insurance plans are created equal. Many employers offer a choice of different insurance plans. Consider reassessing your family’s medical needs on an annual basis and negotiating premiums with insurers. They all want your business.